When I was younger, I always imagined happy relationships featuring couples that never fought. This was the golden standard that I held all of my relationships to. I have experienced many immature, incompatible relationships whose arguments turned into intense resent. I have heard many times that I have an unrealistic expectation of how relationships should be. I still stood fast that this was not normal to me. What I realize now is that everyone’s idea of the perfect relationship is based on what they perceive as normal. When we grow up, our parents typically model their relationship behavior, and occasionally, we will look to celebrities, family friends, older siblings, and other people we admire for cues on how to successfully navigate a relationship. I realize that disagreeing is a fact of life, and looking back, I still stand that toxic arguments with no purpose are not how I want to live my life. Consistent arguments breed irrational “just because” arguments, which tend to bring out the worst in us. I am a very purposefully self-controlled person to the point of being passive aggressive, but there are certain things that will trigger me into going off and saying things I don’t intend to let out. No one wants to get to that point. Feeling out of control of your emotions because someone has pushed your buttons has you asking two questions: were you being crazy first, or were you pushed to be crazy because of them? This is my argument against the existence of accepting arguing as the norm because then everything becomes about self-defense, every man for themselves. To me, disagreements are fundamentally different. I characterize them as things that would bother me if I didn’t bring them up, because they go against what I am comfortable with. 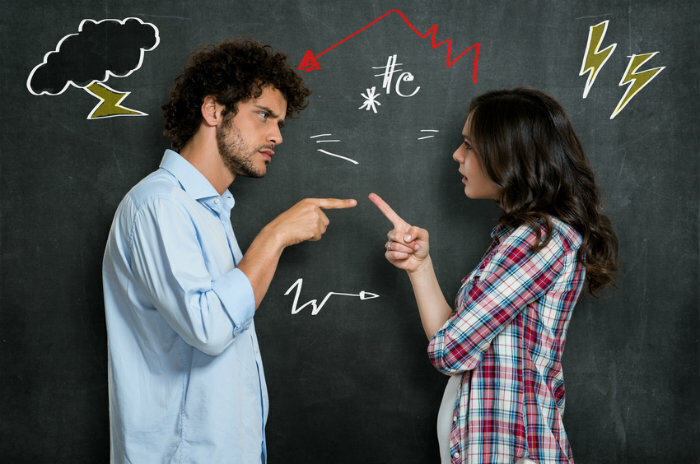 Disagreements are rooted in rational thought, with equal consideration for yourself as a person and for the other person to know where your “do not cross” line is. They aren’t any better than arguments, but they have a purpose. Here are the best pieces of advice I have heard and have used myself on how to fight fair. 1. Use “I” vs. “you” sentences. Speak mainly with references to your emotions, how it affected to you, not to their wrongdoings. 2. Listen to hear and not to talk. Let them talk and do not interrupt. If they do not extend this courtesy to you, calmly ask if you can talk and not be interrupted. 3. Do a general outline of the conversation. Plan what you are going to say ahead of time. In the heat of the moment, you never know what you’re going to say and then it is out on the record forever. 4. Use discretion when talking with your friends. Sometimes it is good to get a second opinion, but other times, they can sway you or get you riled up over something that is not a big deal. We tend to only tell people the negative details and even your friends won’t know the entire context of your relationship. 5. Find a way to close the argument. This is the hardest part for me, I feel like it just lingers. I can’t exactly share what I do because this is the part I struggle with the most, but find what works best for you. Some possible ways are working out, taking time apart, or immediately letting it go to rest right then and there. Couples who argue aren’t automatically doomed to eternal unhappiness, and couples who don’t argue aren’t genuinely happy. Reading about other couple’s experiences and how they overcame challenges is one of the most comforting things I can do during times of crisis. Focusing on self-improvement rather than changing others is much more rewarding and realistic. Next Does An Apple a Day Really Keep the Doctor Away?